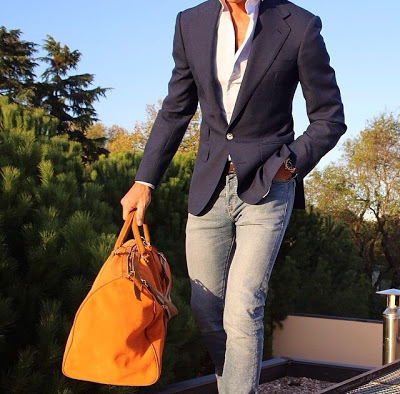 One of my favorite go-to looks is a fitted sport jacket or blazer with jeans. You can look dapper and casual all at the same time. Swap in some brown boots to dress it down, or go for a nice pair of loafers to step it up.